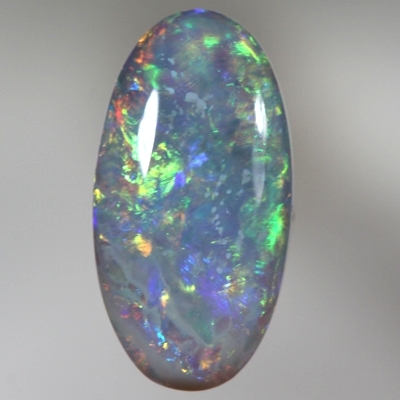 The fire in this opal is of the brightest colours, ranging from orange, yellow, green, a beautiful turquoise and blue. 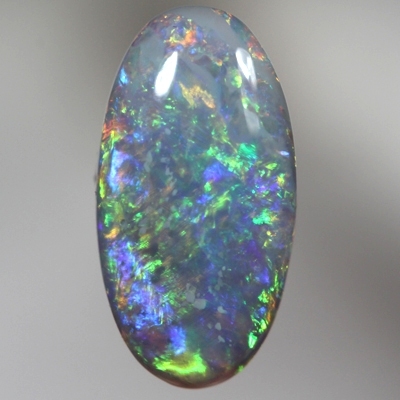 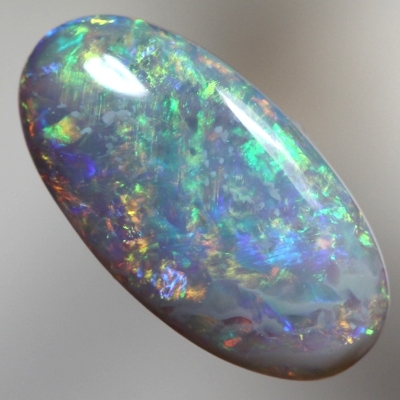 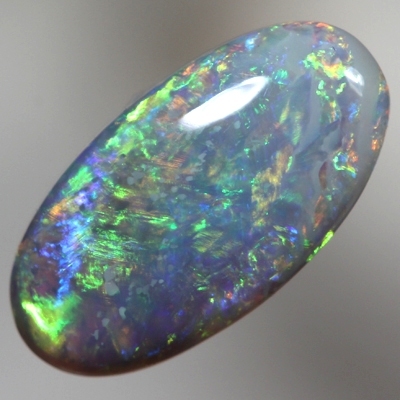 The play of colour moves brilliantly across the opal as it is turned. 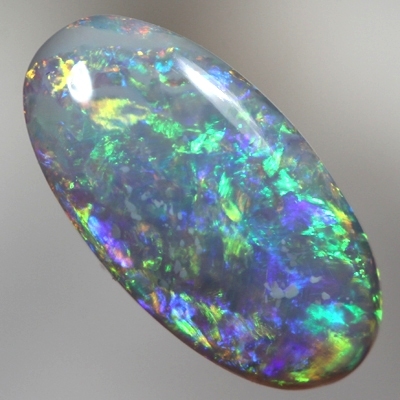 This ever-changing display of colour makes for an interesting and lively opal.